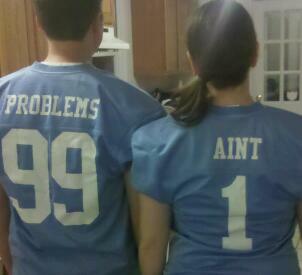 I left a wonderful, fun and and fabulous weekend in Chapel Hill and was greeted with warnings for Hurricane Sandy, and work and school cancellations back in DC. While I am happy to have a lounging day around the house, I hate goodbyes and want to turn my car back around and spend more time with the boy. 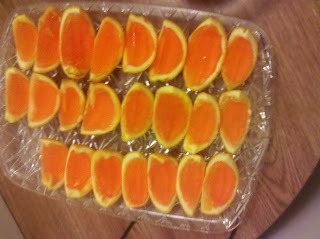 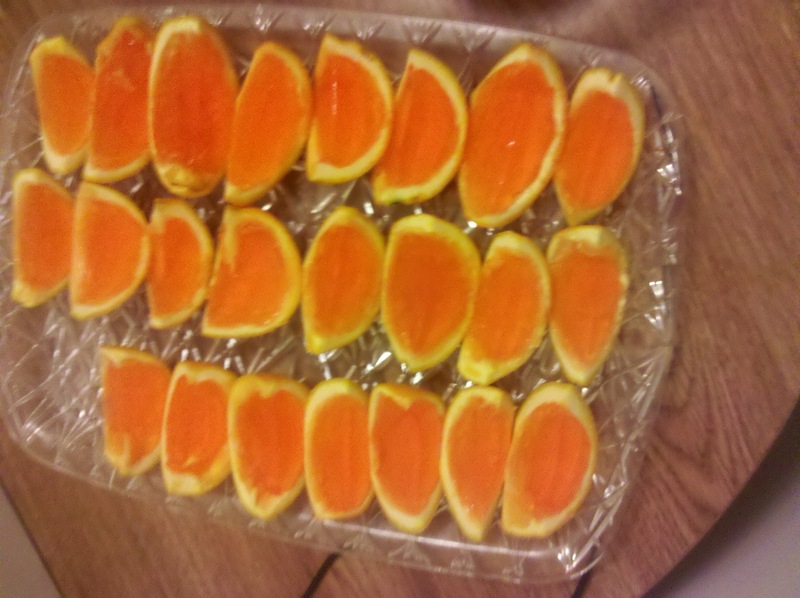 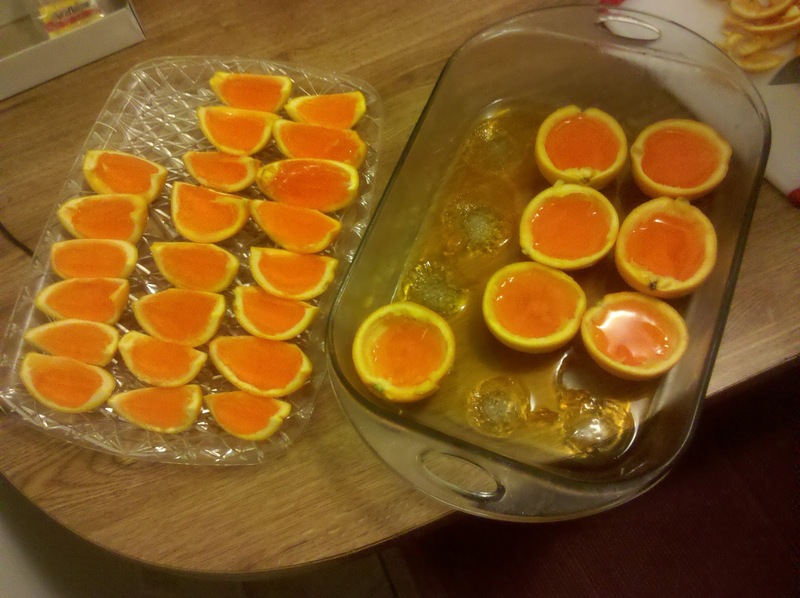 My boyfriend and his roommates threw a Halloween party, and I contributed jello shots with a holiday twist. I halved some oranges, and emptied out the insides. 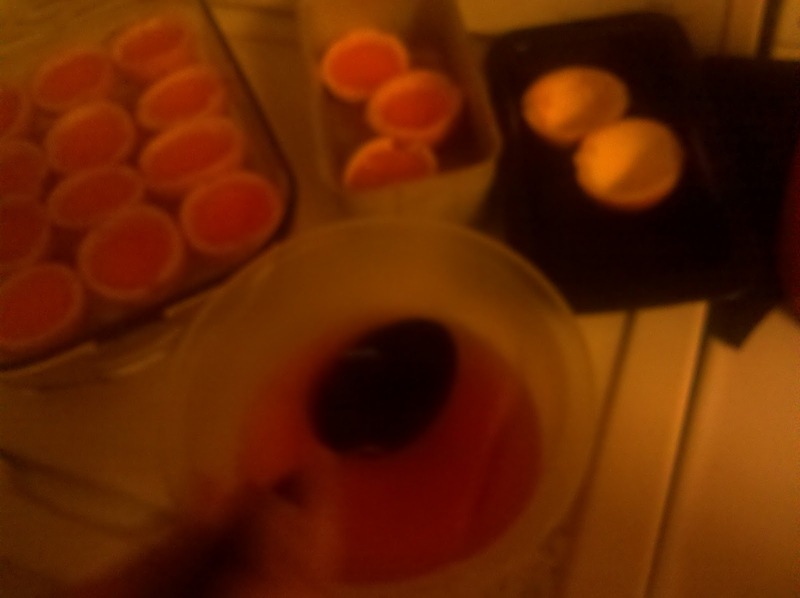 Next, I mixed the jello and filled the halved peels. 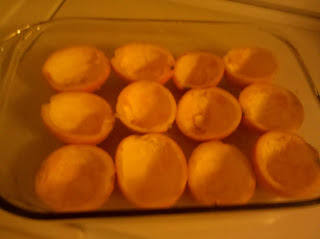 I let them cool over night, and cut them into quarters right before people arrived.